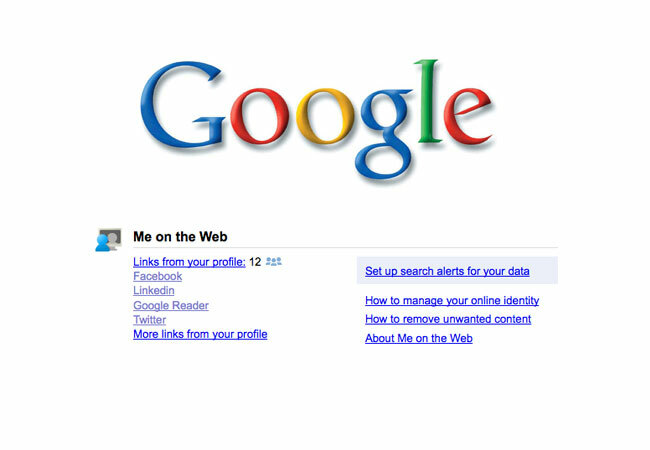 Google has added a new feature to its services today called ‘Me on the Web’ which has been designed to help users monitor their online identities. The new Google service is now available via your Google Dashboard and is positioned just under your account information. The new ‘Me on the Web’ service is a little similar to Google alerts and allows you to setup notifications for your name and e-mail address, and is one of Google’s first steps in its mission to help you manage your online identity. In their blog post Google explain that they have been working hard to build various identity options into their Google products and the new tool has been designed to make it easier to monitor your identity on the web. Providing you with easy access to resources to help you control the information that is on the web about you. For more information about the new ‘Me on the Web’ service jump over to the Google blog.